The Super Model Doll from CalExotics is the cover star of a recently released novel set in the UK adult industry. 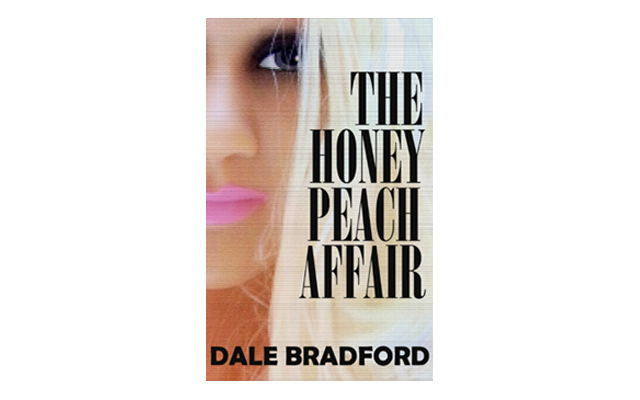 Written by ETO editor Dale Bradford, The Honey Peach Affair is a murder mystery set in the historic city of Bath, England, in which film reviewer Bruce Baker becomes involved in the disappearance of a leading adult entertainment star. When the star’s sister asks for his help, Bruce embarks on a life-changing journey in which he encounters a motley collection of unscrupulous characters. His investigation ultimately results in him uncovering a story that could make him famous – but he doesn’t want to write it. The first three chapters of The Honey Peach Affair can be read online here and the complete novel is available from Amazon in either ebook (£1.99) or paperback (£7.99) format. The UK site can be found here and the US site here and The Honey Peach Affair can also be purchased from other Amazon platforms worldwide. Trade customers can buy copies at wholesale prices from CreateSpace. The Vivid Raw Super Model is part of the Vivid Raw Collection from CalExotics. Visit the company’s website to learn more about this ultra-realistic doll.